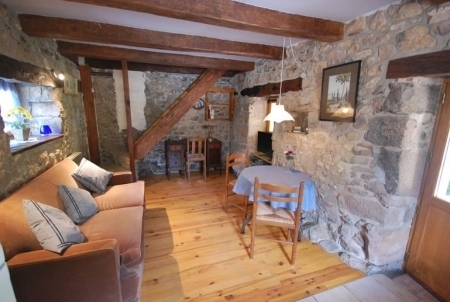 Lauresses Cottage rental: Le Rossignol-For 2 to 4 Persons. Le Rossignol-For 2 to 4 Persons. Le Rossignol-For 2 to 4 Persons. Le Rossignol-For 2 to 4 Persons. Le Rossignol-For 2 to 4 Persons. 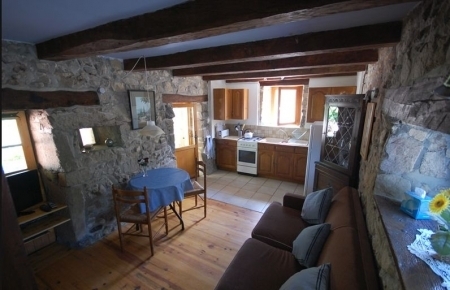 A self contained first floor vacation rental apartment within the main manor house. It has a large living / dining room with an inglenook, English TV, DVD & CD players, a fully equipped kitchen (including cooker, fridge/freezer, microwave and dishwasher); a double bedroom and a twin bedroom (but please note that this can be made up into a double room. 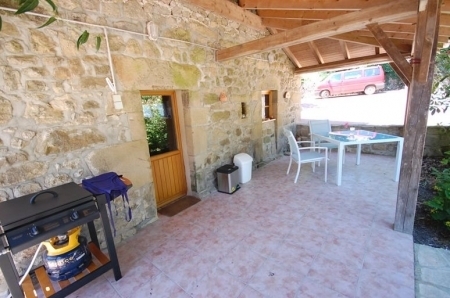 ), shower room and w.c. Externally there is an elevated private covered terrace with gas barbeque.